War in Israel by September as well as a huge earthquake? “The Last Chronicle of Planet Earth” March 18 2011 Edition is now ready for you to download for free. Please note, the download may take some time to download but it will come up. The speed will depend on your computer. Earth quakes and war? A few days ago I wrote to you about the possibility that we may see a new war between Israel and her enemies this September. I showed you how the Biblical Holidays lined up with the first coming of Christ. I want to show you something I find very interesting that also may take place in September. Read the short post below and then watch the video showing you when major earthquakes have hit. Could a huge quake be on the way in September around the same time a new attack on Israel may go down? What could cause war to break out between Israel and its neighbors this September? Before I go on any further let me remind you that in September of this year you will have the Jewish Feast of Rosh HaShanah on the 29th and the 30th. Since Jesus fulfilled the first coming during the Spring Feasts as pointed out in the chart above we can be assured He will also fulfilled the last at the second coming. The first one will be the Feast of Trumpets. We believe that it will be at this time which Christ will remove the Church His Bride. What we do not know is what year this will happen. It could take place this year, next year or some other year. What we do know is that when September rolling around we all need to be ready just in case this is the year the Lord has chosen to begin to fulfill the last three Fall Holidays. We do know that the Lord’s coming for the Church is soon as He warned us that when you see all these things take place look up for our redemption draws close. Now let me get back to the question, what could cause war to break out between Israel and its neighbors this September? Did you notice that future alignment date was October 17, 2011. This is interesting because Yom Kippur, (the Day of Atonement) for the Jews will fall on Sunset of October 7 through nightfall of October 8. This is pretty close to the alignment. 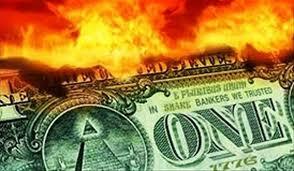 Prophecy Sign: Revelation 13:16-17 shows us the Antichrist will control the new world economic system. “And he causeth all, both small and great, rich and poor, free and bond, to receive a mark in their right hand, or in their foreheads: And that no man might buy or sell, save he that had the mark, or the name of the beast, or the number of his name.” Here is another way people could be marked. PHOENIX -- A Phoenix tattoo artist is offering a new kind of tattoo that's raising some eyebrows. At the Jade Monkey Tattoo in Phoenix, artist Levi Smith offers a tattoo that contains computer generated "QR" or quick response code, similar to a bar code. "It's a basic kind of marketing bar code that you can scan with an app on your smart phone," Smith said, adding it can contain personal information like your name, medical history and other things. "You can have it linked to a site on line, an image like some simple text. There's also some dynamic `qr' codes, I guess, that are coming out where the link destination can actually change online and then you can even put up contact information and stuff that can be uploaded to a smart phone." Prophecy Sign: Jesus warned us that Christians would come under attack in the last day for His names sake. Read Matthew 24:9. “Then shall they deliver you up to be afflicted, and shall kill you: and ye shall be hated of all nations for my name's sake.” Once again the Name of Jesus is in the news! People are working to get rid of anything that has to do with Christ. Prophecy Sign: “Then I heard what sounded like a voice among the four living creatures, saying, "A quart of wheat for a day's wages, and three quarts of barley for a day's wages, and do not damage the oil and the wine!" This generation is well on the road to fulfilling Revelation 6:6 where people will be working all day long for a very small amount of food. For some time now I have been warning you that you will continue to see news telling us the price of food is climbing. Here is another one of those report today. “U.S. 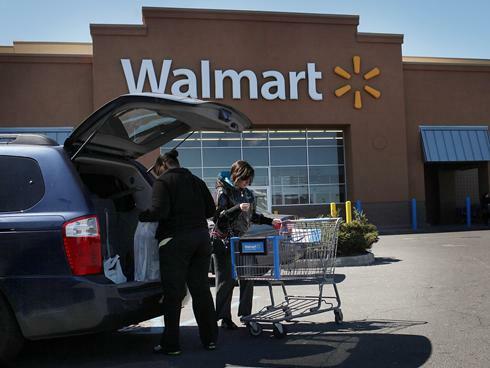 consumers face "serious" inflation in the months ahead for clothing, food and other products, the head of Wal-Mart's U.S. operations warned Wednesday. The world's largest retailer is working with suppliers to minimize the effect of cost increases and believes its low-cost business model will position it better than its competitors. Still, inflation is "going to be serious," Wal-Mart U.S. CEO Bill Simon said during a meeting with USA TODAY's editorial board. "We're seeing cost increases starting to come through at a pretty rapid rate." “Along with steep increases in raw material costs, John Long, a retail strategist at Kurt Salmon, says labor costs in China and fuel costs for transportation are weighing heavily on retailers. He predicts prices will start increasing at all retailers in June”. Everyone can see the signs that a major shift in the way nations do business is going to change. We can’t watch the news without seeing reports that nations are going broke, or governments are ready to shut down because they have run out of money, and the debts are impossible to pay off. If you can face reality you have to face the fact that the 14 trillion dollars in US debt is going to cripple the US soon. On page 22 of my March 2011 book I stated the following: “Here is a side note. #15 stated there were 39.68 million Americans on food stamps. They also stated, “The U.S. Department of Agriculture is forecasting that enrollment in the food stamp program will exceed 43 million Americans in 2011”. According to a (AP) report on Oct. 22, 2010, a record 42 million Americans are now depending on food stamps. The number shows the US is headed for a depression.” Here we are with only three months into 2011 and the new stats show that their are now over 44 million Americans being forced to go on food stamps! I warned you this was going to happen in my book, on my Youtube videos, and on my International radio/video show at The Edge. 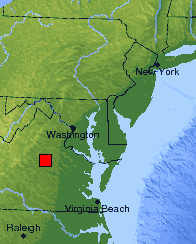 November and December 2010 data are preliminary and are subject to significant revision. Again, news from the White House wants to paint a picture of people going back to work, however, the chart below shows you the real picture. As of January 2011 the real unemployment rate appears to be at 10.3! Look these are the facts! America is declining in power to give way to the last world empire Jesus warned us about. If you don’t believe these warnings just keep watching the news because the unrest you see in the European Union over budget cuts is going to come to America. Think your money is safe? With the inflation that is coming you are going to wish you listened to the warnings. There are signs every where the system the Antichrist will soon control is coming. “French President Nicolas Sarkozy has warned of another global economic crisis if urgent reforms to the international monetary system are not agreed soon, but there appeared to be no consensus on what those reforms should be as finance ministers from the G20 group of nations met in China on Thursday. Here is another sign. Ireland has already been bailed out once and not much has changed since their bailout. 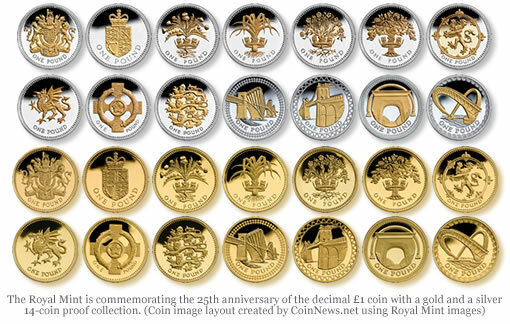 “DUBLIN – Ireland's cash-strapped banks need another euro24 billion ($34 billion) in coming months to demonstrate that they won't collapse in the face of future crises, the Irish Central Bank announced Thursday as it published pessimistic new stress tests. The tests on four Irish banks — a condition of Ireland's international bailout — presume that the country's real estate market will keep falling and produce tens of thousands of home foreclosures, a problem that is just starting to bite. If you have been reading and watching the news you would have seen over and over again nations calling for a new reform of our present global monetary system. The system in which will show up at the end of the day when the global economies fail will be the one Jesus told you about so many years in advance. I quote, Reuters) - Dollar dominance is sowing the seeds of financial turmoil, and the solution is to promote new reserve currencies, a Chinese government economist said in a paper published on the eve of a G20 meeting about how to reform the global monetary system. 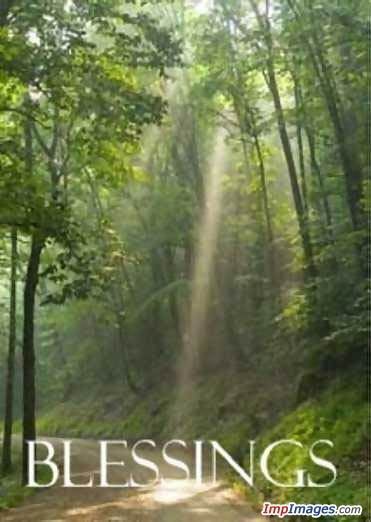 Genesis 12:3 I will bless those who bless Israel and curse those who curse Israel. Prophecy Sign: The coming Psalm 83 war. When the next major conflict comes against Israel it appears the Hizballah and Hamas, two groups working for the destruction of Israel will have chemical weapons to use against Israel. “Senior Libyan rebel “officers” sold Hizballah and Hamas thousands of chemical shells from the stocks of mustard and nerve gas that fell into rebel hands when they overran Muammar Qaddafi’s military facilities in and around Benghazi, debkafile’s exclusive military and intelligence sources report. Word of the capture touched off a scramble in Tehran and among the terrorist groups it sponsors to get hold of their first unconventional weapons. Shortly after the uprising began in the third week of February, a secret Iranian delegation arrived in Benghazi. Its members met rebel chiefs, some of them deserters from the Libyan army, and clinched the deal for purchasing the entire stock of poison gas stock and the price.” As you will see below there are more signs the Psalm 83 war is approaching fast. Prophecy Sign: Getting ready for the Psalm 83 war against Israel. At a time when the PLO is suppose to be working for a peace agreement with Israel in the Middle East, we are seeing signs that the Hizbullah are in fact preparing for the next war with Israel. Keep in mind, Lebanon is one of the nations which is listed in the Psalm 83 war that come against Israel. Are you really searching to know the truth? Jesus wants you to find what you have been looking for! Take advantage of my free download today. Click to link below and read all the proof showing you Jesus' warnings are all coming to pass. Think this is a joke, not true? Read the proof if you really want to know the truth about these last days. 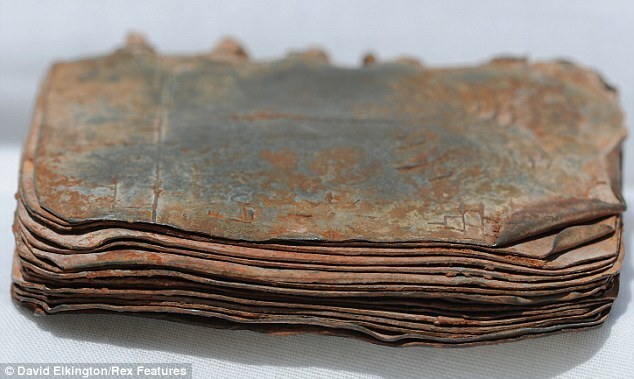 The Mail Online today has a report with the headline that reads: “Could this be the biggest find since the Dead Sea Scrolls? Seventy metal books found in cave in Jordan could change our view of Biblical history” Daniel 12:4.......But you, O Daniel, shut up the words, and seal the book, even to the time of the end: many shall run to and fro, and knowledge shall be increased. When the Dead Sea Scrolls were found people believed that those scrolls would disprove the Word of God, yet all they did was reinforce what God had written in His Word, (The Bible). Keep in mind God told Daniel that it would be our generation who would increase in knowledge. The Dead Sea Scrolls helped prove this prophecy. I wouldn’t put it past the Lord to allow more evidence of His Words to be found and especially so if we find out these metal books address the Book of Revelation. One thing I am keeping in the back of my mind. Christ warned that in the last days doctrines of devils would come. Would it be possible for someone to plant such metal books to try and rewrite or change what the Word of God has stated? I know that the Muslims are praying to Allah that these finds prove the God of Israel, and the God of the Christians are wrong. On March 26, 2011 Britain, France, and Germany pushed to have the United Nations, and the European Union to co-author an Israeli-Palestinian peace agreement. Britain, France, and Germany all belong to the European Union. All three nations are working as is the US to divide Israel to make a PLO State inside Israel, and to make East Jerusalem the Capital of the new Palestinian State. On March 27, 2011 a report from showed us how the Curse followed Merkel. “German Chancellor Angela Merkel’s Christian Democratic Union (CDU) ended a 58-year winning streak in parliamentary elections in Baden-Wuerttemberg state”. The video below will also shows you how this lose was a crushing blow to Merkel’s governing power for the future. As the video states this may be the beginning of the end for Merkel. Prophecy Sign: Maybe after reading this next report you will start to believe what the Lord showed the Prophet Zechariah in Zech. 12:3 “And in that day will I make Jerusalem a burdensome stone for all people: all that burden themselves with it shall be cut in pieces, though all the people of the earth be gathered together against it.” Also keep in mind that destruction is coming while Israel is calling for Peace and safety as warned by Paul in I Thess. 5:3. I believe the Psalm 83 war will fulfilled the destruction part of Paul’s warning. Link everything God has shown us and then look at what is coming on Israel soon! The headline to this report is entitled: “Next Arab Facebook Campaign: Get Millions to Invade Israel”. “Palestinian Authority activists have recreated the Third Intifada page that was banned by Facebook on Tuesday in response to thousands of member requests. An Israeli Cabinet minister, the Anti-Defamation League (ADL) and a massive Internet campaign were only some of the measures used to pressure the popular social networking site into removing the page, which promoted violence against Jews in Israel. But the story doesn't end there, because angry Palestinian Authority sponsors of the page ensured the fight would continue. A Muslim page similarly entitled "Subscribe now to the Palestinian Intifada," on its logo but which is innocuously entitled "Make the Prophet Number One on Facebook" on the heading is listed under Non-profit Organizations. Easily the largest and most popular Muslim page on Facebook, it espouses peace and offers myriad beneficent comments about Allah and Islam's founder, the Prophet Muhammed. But the Rassoul Allaah page also directs readers to directs readers to a wealth of links to other pages promoting the Third Intifada and a massive attempt to carry out the destruction of the State of Israel. By Wednesday afternoon, the page had garnered more than three million -- 3,293,252 -- votes of support from Facebook members around the world. Organizers have summoned millions of Arabs from across the Middle East to march into Israel and forcibly attempt to implement a de facto “Right of Return,” the Arab euphenism for the mass immigration of several million Arabs. If this happens we may end up seeing the beginning of the push for the Psalm 83 war against Israel! 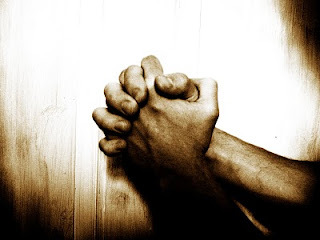 For all I know it could even turn out to fulfill Psalm 83 if things get out of hand. Say the march to take over is meant with force from the IDF. Israel begins to drive these marchers off by force, the nations bordering Israel see what is going on and they unite to go after Israel. Could this happen? We are going to find out in May. If you don’t know what the rapture of the Church means, now would be a good time to find out because all the signs of the last days are showing us the rapture is not that far away! Prophecy Sign: Psalm 83 shows us Syria will attack Israel in the last days with her allies who boarder the nation of Israel. 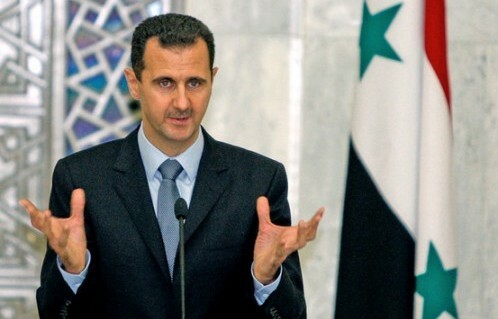 Syria’s President is now blaming the riots against his government as coming from outside of his nation. He is pointing to Israel. "Syria is a target of a big plot from outside," he said in his first speech since anti-government demonstrations erupted two weeks ago. Mr Assad said he would continue on the path of reform for Syria - but did not announce the lifting of a state of emergency, as some had predicted. Later, there were reports of protests and gunfire in the city of Latakia. Reuters reports that hundreds of people chanting "freedom" had taken to the streets of Latakia, and that troops had fired warning shots in an attempt to get them to disperse. There were also reports of more protests in the southern city of Deraa, where more than 60 people have been killed in unrest during the last two weeks. In a speech interrupted several times by pledges of support, Mr Assad told parliament that people had been "duped" to go into the streets. "Deraa is in the heart of every Syrian," Mr Assad said. It was on the front line of Syria's enemy, Israel, he added. I can assure you all that if the the Arabs march to free Palestine on May 15, 2011 Syria will back them up 100%. Out of the mouth of Syria’s President, (Syria's enemy, Israel), Syria has been tossed under the bus and is going to see God’s curse from Genesis 12:3 soon. If you are a Christian in Syria please watch the events unfolding in your nation for God has set in motion the destruction of Syria and to fulfill Isaiah 17:1. The time for you flee Syria is just about at hand. To Frank DiMora from Pastor Titus in Kenya. Juba is in Southern Sudan, for 20 years they have been in war with the Arabs, they speak Arabic. Apart from the travel with airstrip of course I wanted to know how they are charging, they told me form Eldoret to Juba is $560.00 US dollars one way, so to and fro is $1,120 which is very expensive. We have 2 ways to get there. One is for Lokichogio which takes 3 days traveling to Juba and the another is through Uganda, this one is somehow fair and short, it takes 2 days traveling. It costs $400.00 to and fro, for just one person. We were thinking of having door to door visits and have like crusade, but we have only one speaker which has made it impossible, although pastor from Sudan needed it. We will be teaching and giving out the Last Chronicle books. We have no buildings in these places, but only shelters due to 20 years of fighting in Sudan. According to pastor we have many widows and orphans. Men were killed in the war. I needed to take 6 members, the costs for 6 people is 4,800 dollars and some 100 Arabic Bibles of which I am yet to confirm from the pastor. About the food, $100.00 Dollars and other things for one person, for 5 days =$900.00 and kshs. 5,000 around $500.00 dollars for passport 6 people since this is our first time God is sending the team out of country, Kenya. If I need to reduce the number of people we will do it. Sudan needs God I will carry the camera to inform you all when we get there God willingly. God bless every one who will be praying and is ready to send the Last Chronicles team to Sudan. For the few month we began teaching and giving out the Last Chronicle books we have seen God saving and many have been waken up. Message from Frank: As you know I do not ask for funds for my ministry. However, you can help Pastor Titus in Kenya who is using my work to help lead African’s in Kenya and now Sudan to come to Christ in these last days. You can see the need Pastor Titus has from his letter to me, and I pray that the Holy Spirit will touch many of you to help him get to Sudan to be able to do the leg work in the field for Christ. I am blessed they are using my labor of love to drive people to Christ, and the Bible via The Last Chronicles of Planet Earth out reach. Please pray for Titus and his team for they are going into Muslim territory and it is very dangerous. Matthew 24:26 Christ also warns us, "Wherefore if they shall say unto you, Behold, he is in the desert; go not forth: behold, [he is] in the secret chambers; believe [it] not". I have been warning you as much as I can that Iran’s President, Mahmoud Ahmadinejad wants to start a major crisis between Iran and Israel. As I told you in my previous posts, Ahmadinejad believes he is the man who is going to usher in the Muslim messiah, or the 12th Imam. Many of you may be asking what is the 12th Imam and why is this so important? Muslims believe, an Imam is an anointed leader or ruler. Ahmadinejad wants to bring out this anointed ruler, messiah. Muslims believe an Imam is anointed by Allah and a perfect example of leading mankind in every way. The 12th Imam is said to be a descendant of the Prophet Muhammad, having divine status, as did each of this succession of sons. The 12th Imam is also called the Hidden Imam and the Mahdi which means (guided one). It is their belief that both Jesus Christ and the 12 Imam will show up at the same time and lead the world into peace. This is exactly what Jesus was speaking about when He said watch out for false Christs and false prophets. I can assure everyone, Jesus Christ is not going to team up with the 12th Imam. Let it also be known that Ahmadinejad has claimed that the 12th Imam in hidden in the desert in a well that is suppose to be in a secret place. What he is says is the exact same thing Jesus Christ warned us about and it is happening when all the rest of the prophecies are coming to pass. This is not a coincidence, but a fulfillment of our Lords' warnings. Ahmadinejad considers himself to be a prophet, just like John the Baptist; only Ahmadinejad will lead a false messiah. Not long ago when Ahmadinejad was at the UN he made it clear that the 12 Imam was coming. My heart is telling me the reason why he stated that was he knows war is coming between Israel and Iran. In an interview recently Ahmadinejad said he was in contact with this 12 Imam. He has never before stated this fact, and it is very important news when we are watching for false prophets. If you click to the video below you will get important news from Mr. Joel Rosenberg on this issue. About half way into the interview you will hear Joel give the facts about Ahmadinejad’s claim to be speaking with the hidden Mahdi. The second thing of great importance here is this, Ahmadinejad is hoping to cause a war between Iran and Israel for the sole purpose of bring out the hidden Mahdi. Ahmadinejad actually believes that when Israel attacks them this hidden Mahdi will ride out and destroy Israel. This is one of the reasons why I watch you to watch the news coming out of the Middle East, because this was is going to be fulfilled very soon. Ahmadinejad is in for a huge surprise when they attack Israel. God shows us in Ezekiel chapter 39 that the armies that march against the tiny nation of Israel will be wiped out. Ezekiel shows us that 5/6 of the millions that march on Israel will be killed. As of late there has been a lot of news concerning Ahmadinejad’s push to bring out the hidden Mahdi. Considering the fact that much of the Middle East is in Chaos we need to watch what Ahmadinejad does because he will try to push this chaos to force the hidden Mahdi out of the well he has been hiding in. You can expect him to put extra pressure on the nations that border Israel to attack Israel. Below are three videos. The first is Ahamadinejad at the UN where he warns about Israel’s collapse and the 12th Imam. The second is a video of Ahmadinejad’s visit to the hidden place of the Imam. The third video is the latest video that is just now being released that tells the world the 12th Imam’s coming is very near. All I can say is remember what Jesus warned you. Many false prophets and false Christ would come in the last days, they are here! Prophecy Sign: Setting the stage for the destruction of Syria and the Psalm 83 war against Israel. Do you want to know why all the nations in the Middle East are in chaos right now? There is a change of power taking place that will be setting in place all the leaders who are going to come together to take crafty counsel against Israel, just as it warns us in Psalm 83:3. When the dust settles I can assure you right now that the people who take control of the governments will be focused on getting rid of the nation Israel. All these events are the sign of the last days birth pains. “Syria's Cabinet resigned Tuesday to help quell a wave of popular fury that erupted more than a week ago and is now threatening President Bashar Assad's 11-year rule in one of the most authoritarian and closed-off nations in the Middle East. Assad, whose family has controlled Syria for four decades, is trying to calm the growing dissent with a string of concessions. He is expected to address the nation in the next 24 hours to lift emergency laws in place since 1963 and moving to annul other harsh restrictions on civil liberties and political freedoms. Pro-Syrian President Bashar Assad protesters, shout pro-Assad slogans as they demonstrate to show their support for him, in Damascus, Syria, on Tuesday March 29, 2011. More than 60 people have died since March 18 as security forces cracked down on protesters, Human Rights Watch said. State TV said Tuesday Assad accepted the resignation of the 32-member Cabinet headed by Naji al-Otari, who has been in place since September 23. The Cabinet will continue running the country's affairs until the formation of a new government. The resignations will not affect Assad, who holds the lion's share of power in the authoritarian regime. The announcement came hours after hundreds of thousands of supporters of Syria's hard-line regime poured into the streets Tuesday as the government tried to show it has mass support”. The PLO have been working to have the UN call for a Palestinian State this September. “Israel informed the 15 members of the United Nations Security Council last week, as well as several other prominent European Union countries, that if the Palestinian Authority persists in its efforts to gain recognition in September as a state within the 1967 borders, Israel would respond with a series of unilateral steps of its own. Senior Foreign Ministry officials said the ministry's director general, Rafael Barak, sent a classified cable last week to more than 30 Israeli embassies, directing them to lodge a diplomatic protest at the highest possible level in response to the Palestinian efforts to gain international recognition for statehood at the UN General Assembly session in September. September is expected to be pivotal for several reasons. Last September, U.S. President Barack Obama told the General Assembly that he wished to see a Palestinian state become a member of the UN within a year. In addition, Israel and the Palestinians had agreed that the talks they undertook last September 2 in Washington would last for about a year. Thirdly, Palestinian Prime Minister Salam Fayyad's program of establishing institutions for a future Palestinian state is due to be wrapped up this coming September. If the UN gives the PLO the go ahead for their State inside of Israel, I can see Israel moving to put a halt to this. If Israel where to tell the UN to take a hike, I could see how this would set the spark that would set in place the Psalm 83 war. For all I know, the decision by the UN to launch at PLO State could be the order to fulfill prophecy in September. 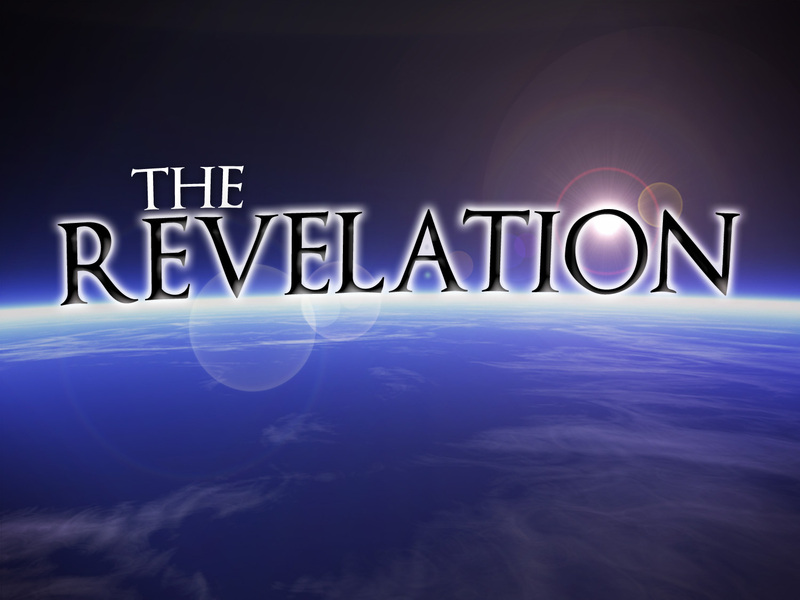 Is it possible that the last prophecies to be fulfilled that will jump start the seven year tribulation begin in September? It is possible. Keep in mind how many times in the past Israel was attacked during the Jewish Feast. Case and point, the 1973 Yom Kippur War! Watch the video below. Now is the time to give your life completely over to Christ. If, and I say if, the Lord chooses to rapture His Church this September will you be ready to go home with Him when He calls? Here is something to consider. Did you know that the United States is giving aid to the PLO? Did you also know that they may now be willing to give up that aid. Look at the reason why. “Adviser to Abbas: "Palestinians need American money, but if they use it as a way of pressuring us, we are ready to relinquish that aid." Hamas and Fatah have agreed to renew unity talks in Cairo next month to discuss ways of ending their conflict. The decision follows a series of meeting between leaders of Hamas and Fatah in the West Bank, Gaza Strip and Syria over the past few days.” May be it would be a good idea to read Psalm 83 again. Philistia are the Hamas of the Gaza Strip, Assyria are the Syrians and Northern Iraqi’s, Ammon are the Palestinians and No. Jordanians, as you see from this report they are meeting in Cairo which is the land of the Hagarenes or Egyptians. Everyone of these people are listed to attack Israel. I believe it is very possible that they are making alliances soon to come together and work toward the removal of Israel as the Psalm 83 shows us. Again we will have to wait but I don’t think this war is far off. Even the people in Israel know another war is on the way. Take a look at this headline from the Jerusalem Post. “Another Israel-Hamas war is inevitable” You really need to read the entire report to get the full picture. Here is a section of that report. “I’m going to make a prediction here that, unfortunately, I’m sure is going to come true. Any good analyst should be able to see this, yet few will, until it happens within the next two years: The Egyptian revolution will make another Israel-Hamas war inevitable, with a lot more of an international mess. And I’ll go a step further: An incompetent and mistaken US policy makes such a conflict even more certain. Why? First, Hamas, which rules the Gaza Strip, is a revolutionary Islamist movement which genuinely views itself as directed by God, considers Jews to be subhuman, believes that a willingness to court suicide and welcome death will ensure victory and is certain that it is going to destroy Israel and then transform Palestinian society into an Islamic Garden of Eden. The well-being and even physical survival of the people it rules is of little importance to it. Prophecy Sign: Zechariah 12:3: Zechariah warned this was going to happen. Jerusalem has become that burdensome stone and you can count on God to deal with KI-moon! "United Nations Secretary-General Ban Ki-moon slammed Israel's policy and called for the division of Jerusalem on Tuesday. In a message delivered by his assistant at a UN regional meeting in Uruguay, Ban said: "The target date for completing the Palestinian Authority’s two-year State-building program is fast-approaching." "The occupation that started in 1967 is morally and politically unsustainable, and must end," he told the UN Latin American and Caribbean Meeting in Support of Israeli-Palestinian Peace. "The Palestinians have a legitimate right to the establishment of an independent and viable State of their own. Israel has the right to live in peace and security within internationally recognized and secure borders." The UN chief said that "a way must be found for Jerusalem to emerge as a capital of two States, Israel and Palestine, with arrangements for holy sites acceptable for all." He added that "there must be a just and agreed solution to the prolonged plight of the Palestinian refugees." Ban Ki-moon better read what the Lord warned in Joel 3:2 concerning those who try to divide Israel! There was another sighting of a UFO right over East Jerusalem. Let’s see if this is picked up by any of the news media’s? Prophecy Sign: God’s curse has fallen again. Britain should have read Genesis 12:3 where the Lord tells us He will curse anyone who curses Israel. 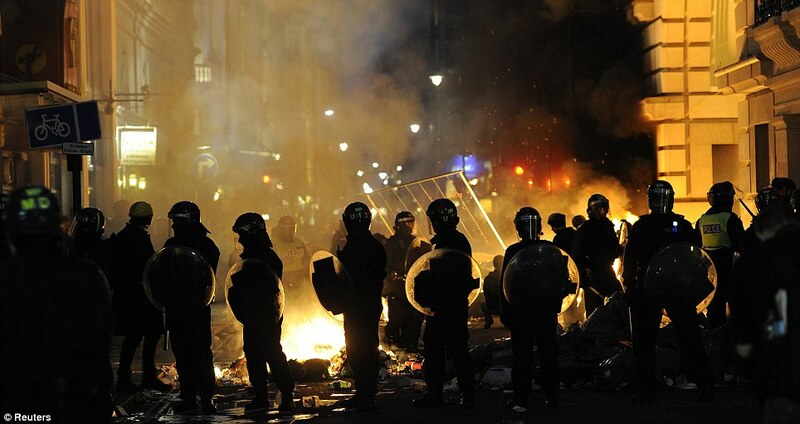 On March 27, 2011 one day before Britain announced it was going to push for the EU to get involved in the Middle East peace stand still, anarchy breaks out in London. As time goes on this stalled peace talks and the turmoil in the nations that border Israel will no doubt bring about the Psalm 83 war. We can see this time bomb getting ready to explode. Take a look at the photo above with the list of nations God warned would attack Israel in the Psalm 83 war. Notice Jordan, Syria, Lebanon and Egypt are all included in this attack. You can trust the Lord, the events you are reading about now are leading up to this war. Not only is this are these signs of the Psalm 83 war but the rioting and upheaval in these nations are also fulfilling the prophecy that kingdom will come against kingdom. See Matthew 24:7. “Prophecy Sign: Daniel was given the list of world empires that would rule the world from the time Daniel was living all the way to the time Jesus Christ would come back to rule as King on Earth. There isn’t a sentence in Daniel’s book about the USA! As time goes by we can see why there is no mention of the United States. It appears she will fall away as a major power in the last days and no doubt help lift the last world empire to it last days position. Here is one of the signs America’s power is declining. Prophecy Sign: In Revelation 18:12 Jesus shows us that gold and silver will become one of the items that people hold dear to them. We know that these metals will go up in value because people do not weep over things that don’t hold any value. I have been warning you for some time that the US dollar would decline and gold and silver would skyrocket during the last days. here is a great report showing you that we are headed toward the fulfillment of Revelation 18:12. “$105 per barrel oil. Cotton prices at record levels. Food prices at 2008 highs. Typically, such commodity price increases would send central banks running to the U.S. Dollar to secure the value of their savings. After all, the dollar has been the reserve currency since World War I. Central banks are shedding dollars [DXC1 76.555 0.07 (+0.09%) ] , reducing their holdings by about $9 billion in previous quarter, according to Nomura Securities’ Jens Nordvig, global head of G10 FX Strategy. What are they buying instead? Gold [GCCV1 1413.90 -12.30 (-0.86%) ] . The yellow metal hit a fresh record high this morning, while the dollar index dropped to a 15-month low. The news had Fast Money’s Brian Kelly looking to add more gold and silver longs to his portfolio Thursday morning. Prophecy Sign: Christ warned un in Matthew 24:9 that the in the last days the world would hate the Christians. "Then you will be handed over to be persecuted and put to death, and you will be hated by all nations because of me.” We are beginning to see more attacks on the Name of Jesus and these attacks are in happening in America where it is suppose to be the land of the free! Not anyone more, if you use the name of Jesus look what can happen. “A north St. Louis County man says he can’t believe what he found in his mailbox — a letter from his subdivision committee telling him he had to take down his yard sign. The simple green sign has a single word written in white…”Jesus”. “What is this? What kind of country are we living in?,” Michael Mayfield asks incredulously. Mayfield lives in unincorporated Florissant, in a subdivision called Weatherby Place off Shackleford. He says as a Christian, he proudly placed the familiar green-and-white sign in his yard as a declaration of his faith. “And they told me I had to remove it,” Mayfield tells KMOX News. “I mean it just shocked me to no end to even read a letter like this. It spelled out ‘Jesus’, and that really captured my attention that they would go as far as to spell out the name ‘Jesus’.” The report below continues to show you attacks on the Lord’s children. Prophecy Sign: In Revelation chapter 17 we see the warning about the false Church of the last days. We know that during the reign of the Antichrist there will be a one world government, a one world buying and selling system, and a one world religion. This one world religion is already in the making and when the real Church is taken a the rapture this false Church will spread like wild fire. Prophecy Sign: Did not Christ warn you that in the last days you would see many earthquakes and “great earthquakes”? Read Matthew 24:7 and Luke 21:11 you will find the Lord’s warnings there. Japan again was hit by one of these huge quakes. “Authorities in Japan have issued a tsunami warning after an earthquake measuring 6.5 on the Richter scale was felt in northern Japan. According to reports, the waves are expected to reach a height of 50 centimeters.” In the past 7 days we have see 9 earthquakes hitting at least a 6.0 and higher. These are big quakes! Prophecy Sign: Hosea 4:1-3, Ezekiel 38:20, Zephaniah 1:3 all address the fish of the sea, the birds of the air, and beasts of the field that will be dying off in the last days. Yesterday I gave you a report of million of fish dying in Redondo Beach California. Now look at what was reported today! After you read these warnings and click to each link I am sure you will agree with me that these warnings found in the Bible are beginning to happen at a faster rate. Below is an up-dated list of all the places where we see the death of birds and fish. Prophecy Sign: Pestilence Matthew 24:7 (The Killing of our Crops) a new bug in town. Revelation 7:16 “They shall hunger no more, neither thirst any more; neither shall the sun light on them, nor any heat.” When you read this verse you come to know that the people living during the tribulation period would have had to go through droughts, famines, and intense heat from the sun, which no doubt will be a major factor in the lack of drinking water and the watering of crops. We are seeing the beginning stages of this now. “The worst Texas drought in 44 years is damaging the state’s wheat crop and forcing ranchers to reduce cattle herds, as rising demand for U.S. food sends grain and meat prices higher. “GENEVA – Over two million people will contract a form of tuberculosis by 2015 that is difficult to treat, the World Health Organization said Wednesday. The warning came as an alliance of international health groups laid out their multi-billion-dollar plan to contain the spread of tuberculosis, a bacterial disease that usually affects the lungs. "Overall progress is being made, but the response is far from sufficient given the MDR-TB threat that the world is facing," Raviglione said. "The commitments by some countries are too slow off the mark, or simply stalled." Some countries in eastern Europe and the former Soviet Union are successfully reducing infection rates with aggressive detection and treatment programs, Raviglione said. But elsewhere the lack of proper screening for MDR-TB means many sufferers are going undiagnosed, let alone properly treated, increasing the risk that they will spread the disease to others. “Disease alert: New blood-sucking tick found in UK” A blood-thirsty tick normally found in continental Europe has been discovered in Britain, putting animals and humans here at increased risk of disease.” “The Dermacentor reticulates tick was discovered in south-east England and west Wales in a study of dog infestations, and scientists have warned that it may have brought new strains of disease with it. They are blaming climate change for driving the tick to these shores. Professor Richard Wall, head of the veterinary parasitology group at Bristol University, which carried out the research, said: 'This is an important study because the results suggest that the risk of tick infestation is far higher in dogs than was previously thought. This has serious implications for the incidence of tick-borne disease. The research, published in the journal Medical and Veterinary Entomology, found that 14.9 per cent of dogs were infested with ticks at any one time. Prophecy Sign: The coming Psalm 83 war. "A rocket fired by Palestinian militants from Gaza struck an area close to Tel Aviv yesterday in a bold attack that could provoke Israel into a decisive strike and bring it one step closer to a new Middle East war. 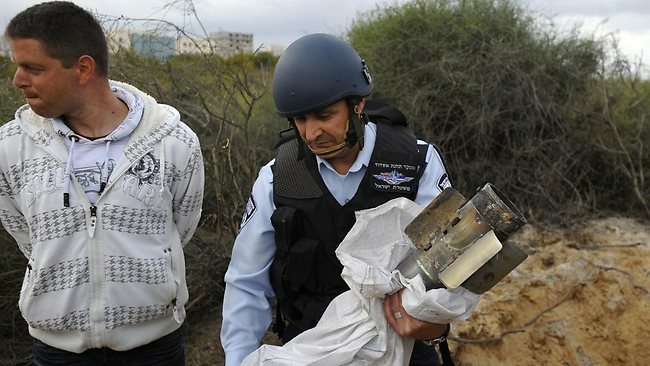 The latest attack, which injured nobody and landed in an unpopulated area 15 miles south of the city, will unsettle Israelis, who are used to seeing low-grade rockets and mortars drop mostly harmlessly in areas close to Gaza, but rarely feel threatened in cities such as Tel Aviv." CAESAREA, Israel — Prime Minister Benjamin Netanyahu told US Defense Secretary Robert Gates on Friday that Israel is ready to act with "great force" in response to a spate of rocket fire by Gaza militants and a deadly bus bombing in Jerusalem. Israel had been "subjected to bouts of terror and rocket attacks," Netanyahu told reporters before going into a meeting with Gates. "We stand ready to act with great force and great determination to put a stop to it," he added, with police saying Israel had not been hit by any projectiles Friday morning. Netanyahu said he had received a "very warm" telephone call from US President Barack Obama on Thursday expressing his condolences after the latest flare-up in violence. "Any civilised society will not tolerate such wanton attacks on its civilians," he said. Gates, a former CIA director with years of experience in Washington, said US-Israel security ties were as strong as they had ever been at a time when the region is in "turmoil." On Thursday, he said in Tel Aviv that Washington firmly backed Israel's right to respond to the both the rocket fire and the Jerusalem bombing, which he described as "repugnant acts." But he suggested Israel should tread carefully or risk derailing the course of popular unrest sweeping Arab and Muslim countries in the Middle East. The US defense chief is pressing Israeli and Palestinian leaders to take "bold action" for peace despite soaring tensions, saying political upheaval in the region offered an opportunity. “NEW YORK (CNNMoney) -- A devastating earthquake strikes Japan. 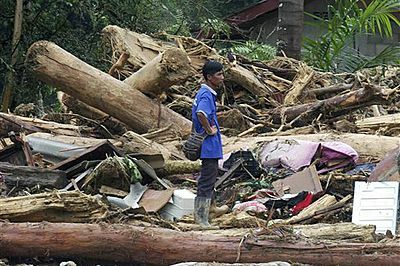 A massive tsunami kills thousands. Fears of a nuclear meltdown run rampant. Bloodshed and violence escalate in Libya. 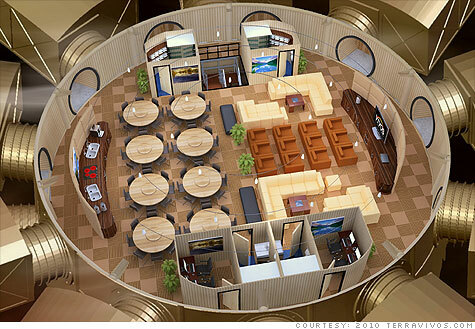 And U.S. companies selling doomsday bunkers are seeing sales skyrocket anywhere from 20% to 1,000%. Prophecy Sign: Zechariah 12:3 (all the nations will come against Israel in the last days.”“Israel failed to realize until recently that the Palestinian bid to win United Nations General Assembly endorsement for statehood in September might not be merely declarative, but could have profound practical consequences under the provisions of a little-known UNGA resolution, Gabriela Shalev, the former Israeli ambassador to the UN, has told The Jerusalem Post. UNGA Resolution 377, also known as the “Uniting for Peace” resolution, was passed during the Korean War in 1950, at the initiative of the US, because the Soviet Union was vetoing UN Security Council action to protect South Korea. Palestinian officials have said repeatedly that they intend to seek UN recognition for “Palestine” by September. It is widely assumed that a resolution to that effect would not receive the binding approval of the 15- member Security Council – where it might not gain the nine “yes” votes it would need, and where, even if it did, the US would likely use its veto. In the General Assembly, by contrast, a resolution recommending a state of Palestine would easily receive two-thirds support, diplomatic sources say. But the assumption in Israel until recently was that while such a vote might further dent Israel’s international standing, it would have no practical consequences. By invoking the non-binding “Uniting for Peace” resolution, however, the GA could then recommend that “collective measures” be taken by individual states in support of the statehood resolution. 9“This calls for a mind with wisdom. The seven heads are seven hills on which the woman sits. 10They are also seven kings. Five have fallen, one is, the other has not yet come; but when he does come, he must remain for a little while. 11The beast who once was, and now is not, is an eighth king. He belongs to the seven and is going to his destruction. "Those who believe that Erdogan is acting in this regard according to Turkey's commercial interests are wrong. Erdogan is defending Al-Qadhafi despite all the crimes that the Libyan leader has committed against his own people, whereas previously he was one of the first world leaders to criticize the Hosni Mubarak regime during the January 25 revolution in Egypt. However, he did not take either of these positions for commercial reasons. "Erdogan has responded in a different manner to the events in Libya and Egypt because he is searching for leadership for his country, namely a neo-Ottoman leadership. In Egypt, Erdogan is aware that it would be easy for him to ally himself with the Muslim Brotherhood. Therefore he viewed the Egyptian revolution as an opportunity to support change and thereby strengthen Turkey's role in Egypt. However, in Libya, Erdogan seems to be certain that Al-Qadhafi will crush his people and emerge victorious. Therefore he is seeking to help resolve the Libyan impasse, in order to strengthen the Turkish role, especially in light of the almost complete break in Arab–Libyan relations, with the exception of only two or three Arab states. "These are the goals of Erdogan's Turkey, namely [to strengthen the] neo-Ottoman leadership, rather than to protect Istanbul's commercial interests. If the Turkish Prime Minister were so concerned about his country's commercial interests, he would have supported the U.S. against Saddam Hussein, and indeed against Iran with regards to Tehran's nuclear file. If Erdogan were truly concerned about his country's commercial interests he would not have increased the tensions in Istanbul's relations with Tel Aviv, as good relations with Israel would have guaranteed Turkey numerous trade agreements, as well as support for Istanbul's attempts to join the European Union. If this was just about commercial interests, it would have been in Turkey's interests to support the Arab Gulf states, instead of criticizing the entry of the GCC Peninsula Shield Force into Bahrain. "Therefore, all Erdogan wants to do is to strengthen Turkey's role, in search of a neo-Ottoman role [in the region], and this is something that can be described as political opportunism. Indeed, what is happening in the Gulf seems to have confused friends and foes alike, whether they are Arab or Islamic, like Turkey and Iran, or Western, like the U.S. The consensus and joint action taken by the Gulf states is the last thing that Iran or Turkey wants to see, and this is the truth. Therefore the entire issue is one of leadership, and of searching for a role. For if Turkey is so concerned about democracy, why has it allied itself with Syria? And if it is so concerned about minorities, why has it allied itself with Iran?" 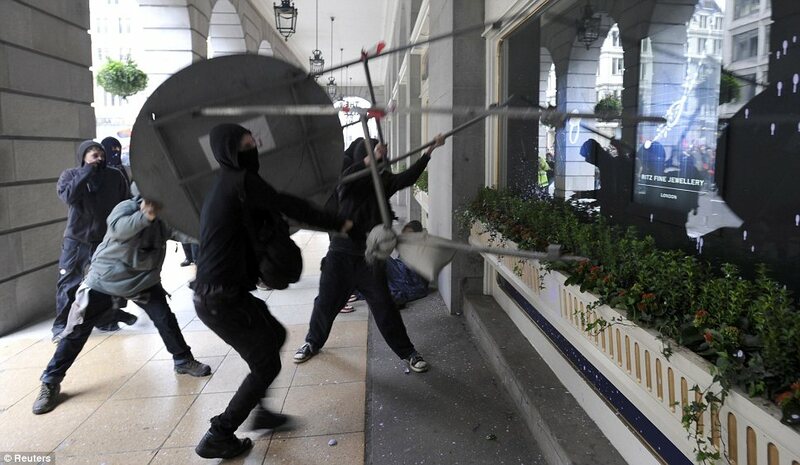 H&M clothing store where fight broke out. My newest radio/video show on the International radio station at The Edge will be able to be viewed at 4:45 PM Pacific Standard time today March 24, 2011. Filming for new show today. Do you recall my warning to you on my March 11, 2011 post? I quote, “I am going to keep the red flag up because you all need to see that Christ’s words should not be taken lightly. 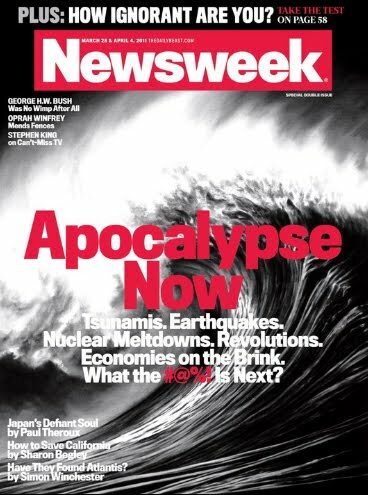 We are in those end times birth pains and you will see more of these huge quakes in the near future.” Are you getting the picture yet? If you trust in the Words of Jesus Christ you should have no fear in warning people exactly what He warned us, and that is all I am doing. I know His words are true and when He tell you “great earthquakes” are coming you can stand on those words. I am going to warn anyone who still doesn’t trust in the Lord’s words, you will see more of these huge quakes soon. They are coming faster because we are in the midst of the last days birth pains. The red flag is still up! Once again the news has reported on people out of control. “Panama City Beach -- A cell phone camera captured the action in the Panama City Beach Burger King on Front Beach Road Saturday, as a crowd of tourists nearly rioted at the restaurant. “Employees dialed 9-1-1 for help, as one bikini-clad woman, later identified as Kimesia Smith of Montgomery, Ala., jumped up on the counter and threw a charity coin jug at employees, and 3 of Smith's friends also began throwing napkins, utensils, and trays throughout the location. The woman in the bikini, who became concerned about the whereabouts of her two children after Panama City Beach Police placed her in handcuffs, was taken to the Bay County Jail on charges of simple battery, in part because of allegations she pulled a Burger King employee's hair. Beach police contacted a friend of the woman, who told police she would take care of Smith's children. The video has already been watched thousands of times, but be warned, there may be some harsh language overheard as the out of control group destroyed the Burger King.” Yesterday I posted a study showing that the Magnetic fields may cause some pretty weird things to happen. Maybe this is one of the reasons why we are seeing so many people losing it, or is it that they are void of the Holy Spirit, and therefore are under the influence of the god of this world, and is actually fulfilling Christ's warnings as to what people will be like in the last days. “Magnetic fields have been shown to augment the brain process in good and bad ways. ["Magnetic fields may help brain work"] For instance, studies have shown that the brain's right temporo-parietal junction lights up with activity when decisions are made. An MIT team showed that an electromagnetic field impairs the ability to evaluate the intentions of others, leaves perceptions confused and creates poor judgment. ["A Magnetic Field Applied to the Brain Can Alter People's Sense of Morality"] Other experiments have suggested that chronic exposure to variable magnetic field intensities can cause adverse affects on the brain and electrochemical thought processes to intensify. That can lead to to impaired judgment, aberrations in perception, psychotic behavior, paranoia and heightened bouts of rage." Prophecy Sign: Conflicts leading to the Psalm 83 war where the Palestinians will attack Israel with the nations that border Israel. “JERUSALEM (AP) -- Israeli aircraft struck the Gaza Strip on Thursday in response to militant rocket and mortar attacks, stoking concerns that a grave new round of hostilities will fill the vacuum left by an impasse in Israeli-Palestinian peacemaking. Two years of relative calm have been unraveling in recent weeks with acts of violence against Israelis - including a deadly bombing in Jerusalem on Wednesday that killed a British tourist - and Israeli reprisals against Gaza militants, which in one case killed four Palestinian civilians. Militants operating near the Israeli border sent at least nine rockets and mortars - including two rockets that reached the city of Ashdod - flying at Israeli communities throughout the day, drawing an Israeli airstrike in retaliation. No injuries were reported on either side. “The tanks were aimed at a Hamas facility in Gaza City, which reportedly burst into flames. Earlier Thursday, the IAF bombed terrorists that were attempting to shoot rockets into Israel. Hamas said Israel targeted smuggling tunnels along the Gaza-Egypt border, as well as one of its training camps in central Gaza. A third strike hit a power transformer, causing blackouts in the area, witnesses said. Medical workers said no one was injured in the strikes. Prophecy Sign: Psalm 83:4 “They have said, Come, and let us cut them off from [being] a nation; that the name of Israel may be no more in remembrance. The Hagrites, Hagarenes are the modern day Egyptians and are listed as one of the nations who will be joining the other Arab nations that border Israel in the Psalm 83 war. Looks like Egypt is sending Israel a message! Could it be that Egypt is showing Israel what they see for the future, a map without Israel. Since this is what God has already shown us in that Psalm we don’t have to guess as to what type of message Egypt is trying to show Israel by wiping Israel off the map. 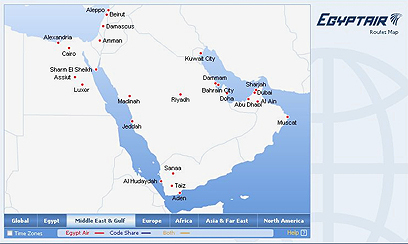 “Egypt Air, the largest airline in Egypt, has removed Israel from the map – literally. On its website, Ynet has learned, Jordan's land reaches the Mediterranean Sea. Prophecy Sign: Zechariah 12:3 informs us that in the last days Israel will on their own and all the nations of the world will come against her. Little by little this prophecy is coming to pass and nations are turning away from Israel. Here is an example of what I am talking about. If you keep your eyes on the news you will soon see more reports like this one. The grim toll of dead and missing from Japan's monster quake and tsunami on March 11 topped 26,000, as hundreds of thousands remained huddled in evacuation shelters and fears grew in the megacity of Tokyo over water safety. 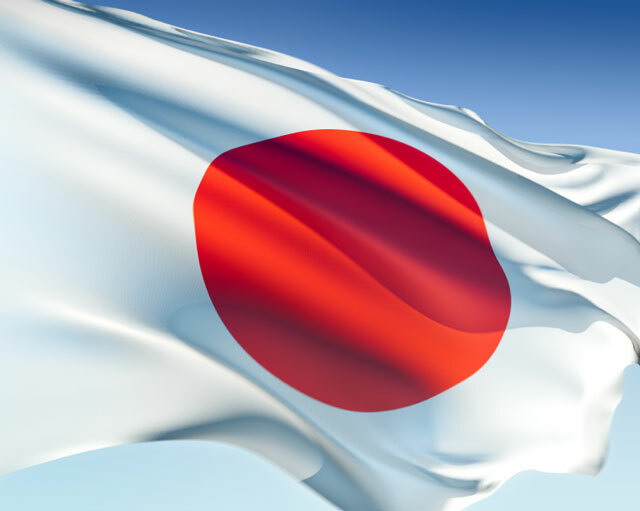 Russia ordered a halt to food imports from four prefectures -- Fukushima, Gunma, Ibaraki and Tochigi -- near the stricken plant 250 kilometres (155 miles) northeast of Tokyo. Moscow also placed in quarantine a Panama-flagged cargo ship that had passed near the plant and put its 19 crew under medical supervision after detecting radiation levels three times the norm in the engine room. It said, however, that Japanese food already on store shelves was safe, as it had shipped before the quake, and that "the risk of Australian consumers being exposed to radionuclides in food imported from Japan is negligible". Singapore also suspended imports of milk products and other foodstuffs from the same four prefectures and Canada implemented enhanced import controls on products from the quartet. Did these Pastors forget why Jesus died on the cross? It was to make sure that there was a road to heaven for anyone who chose to take it. The road to hell still remains but by the blood of the Lamb you now have a choice as to where you want to spend eternity. Here are just a few places in the Bible where it addresses hell. “9And they went up on the breadth of the earth, and compassed the camp of the saints about, and the beloved city: and fire came down from God out of heaven, and devoured them. 10And the devil that deceived them was cast into the lake of fire and brimstone, where the beast and the false prophet are, and shall be tormented day and night for ever and ever. 11And I saw a great white throne, and him that sat on it, from whose face the earth and the heaven fled away; and there was found no place for them. 12And I saw the dead, small and great, stand before God; and the books were opened: and another book was opened, which is the book of life: and the dead were judged out of those things which were written in the books, according to their works. 13And the sea gave up the dead which were in it; and death and hell delivered up the dead which were in them: and they were judged every man according to their works. 14And death and hell were cast into the lake of fire. This is the second death. 15And whosoever was not found written in the book of life was cast into the lake of fire.” (Rev. 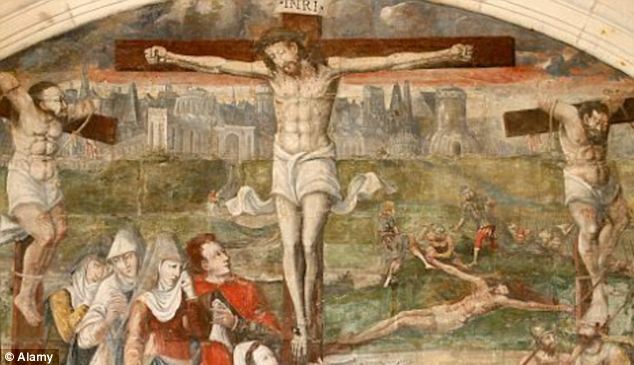 20:9-15).